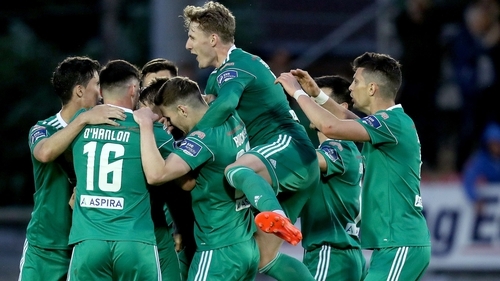 Both legs of Cork City's Europa League third qualifying round clash with Rosenborg will be screened live on RTÉ 2 and the RTÉ Player. The Leesiders welcome Rosenborg to Turner's Cross on Thursday 9 August before travelling to Norway for the return fixture seven days later. John Caulfield's side were beaten by Legia Warsaw 4-0 on aggregate in the first round of Champions League qualifying and subsequently dropped into Europe's second-tier tournament. Rosenborg suffered the same fate against Celtic, who prevailed 3-1 on aggregate. If Cork come through this one, they'll progress to the play-off round, the final hurdle before entry into the group stages. Shamrock Rovers  and Dundalk  have flown the flag for the League of Ireland among the big guns but Caulfield will not be looking beyond Rosenborg, who did not make it easy for Celtic. They looked to be a team in turmoil when the sacking of Kare Ingebrigtsen two weeks ago sparked a player revolt. Dutchman Rini Coolen took the reins however and coaxed two good displays from the side against the Bhoys. They'll fancy their chances next week, while Cork will relish the opportunity to cause an upset.